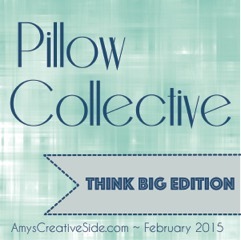 This week Amy Ellis is celebrating her new book Think Big and hosting her second annual Pillow Collective series. You will find many talented artists on the tour sharing their spin on her designs. 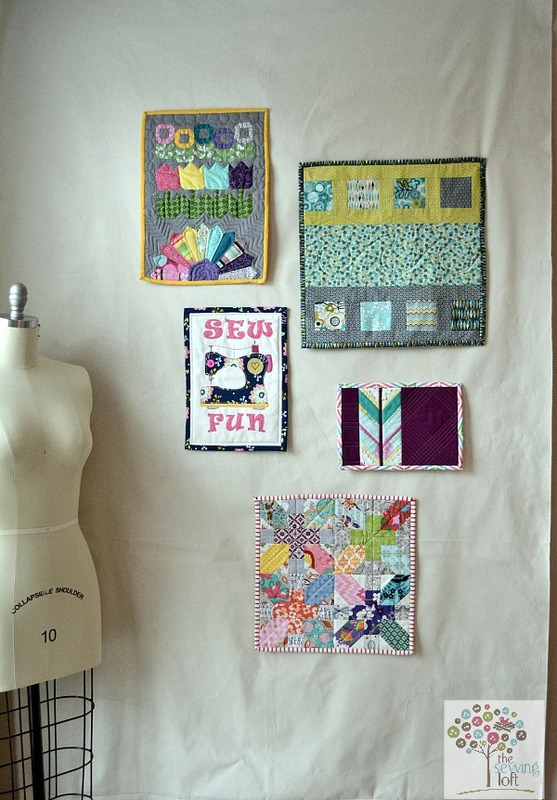 With the help of some chain piecing, the block came together super quickly. After I put my quilt sandwich together, I added a fun little quilt label to remind me of the pretty Lime Twist fabric from Makower UK/Andover and what inspired me to stitch this big quilt block up. Then it was time to get friendly with free motion quilting. 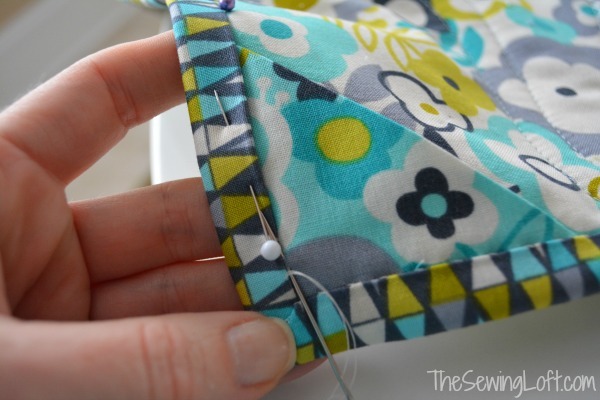 Now, most of you already know that I love me some free motion sewing but for some reason when you add the word “quilting” to the back-end, it scares me to pieces! I dove in any way and think it turned out just fine. I even added hidden corner tabs to help hang it on the wall. Since my studio is gearing up for a paint job, I have been playing around with my minis on a hanging piece of muslin. Well, really it’s just taped to the wall but I’m liking the way things are shaping up! 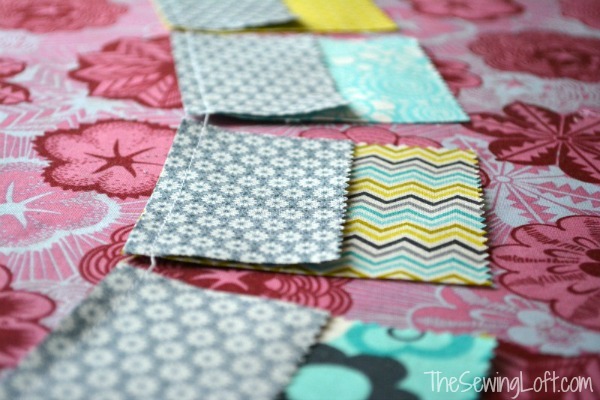 Can you “spy” the minis are from our swap or my new pattern? I have a few more to add to the wall but like I said, it’s a work in progress. Slowwwwwww progress! So, the next time you hear the worlds big quilt blocks, I challenge you to look beyond the quilt and make something fun. 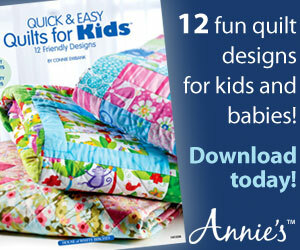 To celebrate the release of Think Big, Amy is hosting a giveaway filled with fun bundles of fabric and one pretty amazing quilt from the book. To enter to win this fab stash, all you need to do is Pin (to Pinterest) images from the Pillow Collective tour this week (Heck, you can even pin this post..hint, hint!) 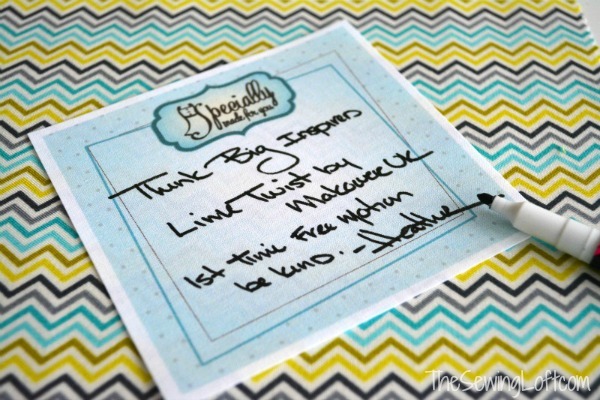 using the hashtag #ThinkBigBook and #PillowCollective. 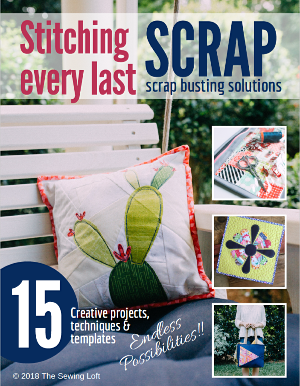 Check out Amy’s blog here for more details. Still want more pillow inspiration? 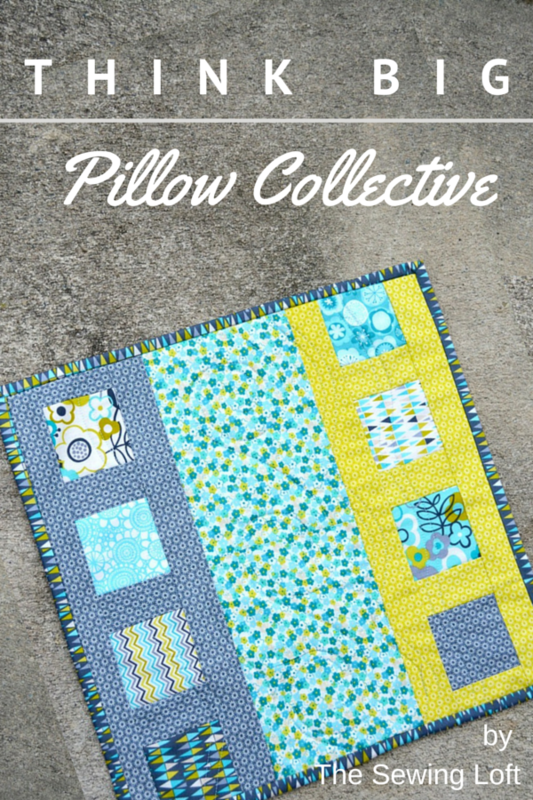 You can see my pillow ideas and tutorials here. Love the colors in you mini! 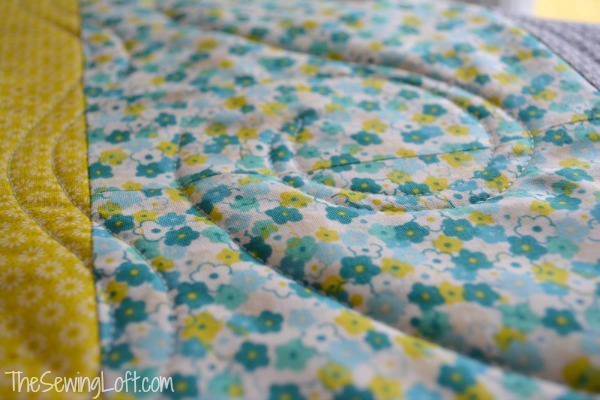 Heather, I just love your sewing machine quilt and the flower quilt! Those two are my favorites and are so cute!